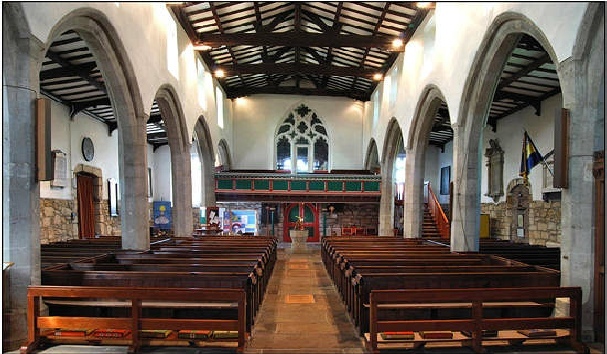 The window in the South Aisle is the oldest one in church. It dates from 1840 and commemorates Eleanor Westerman, who founded Easingwold School in 1784. The Lady Chapel has a framed altar frontal on the wall made by the Anglican Order of Nuns at Horbury.  The motifs - lily, rose and pomegranate are all symbols of the Blessed Virgin Mary. 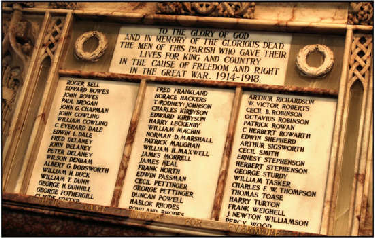 The War memorial for 1914 - 1918. Many more men died in this conflict than in the 1939 - 1945 conflict. 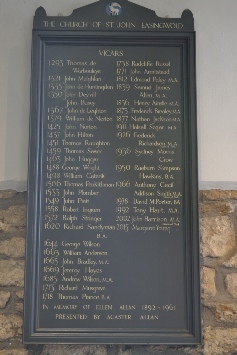 This list of Vicars tells us much about Christian Names down the centuries. ’John’ has been popular since 1321. The Signed Covenant between the Anglicans & the Methodists on the North Wall. 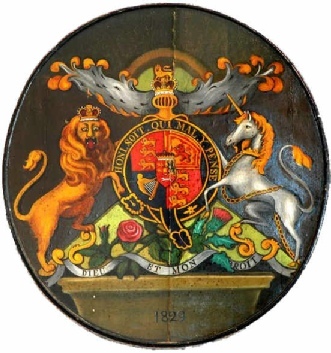 The Royal Coat of Arms over the East Door as used between 1800 and 1837. Note the Arms of Hanover. The piece of white limestone in the North wall of the sanctuary comes from the Byzantine church at Samaria which commemorated the death of St John the Baptist. Here, according to John Phocas (1185), the head of the Baptist was found. The window above the high altar dates from c. 1856. 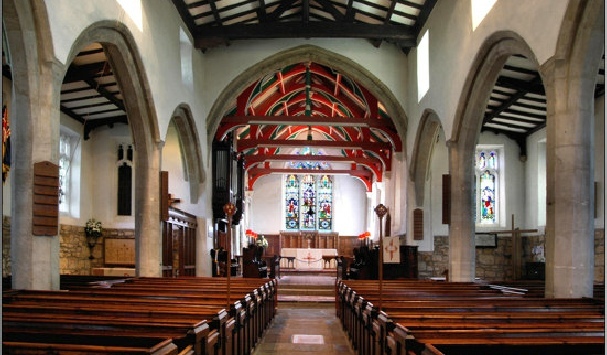 The dates on the three chancel beams record major restorations. The initials are believed to be those of the architects. The colours date from medieval times. The wooden screen (reredos) behind the altar is from the workshop of Robert Thompson, the Kilburn woodcarver. 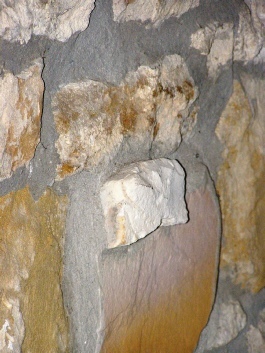 The carved mouse is his trademark and several may be seen in the church.